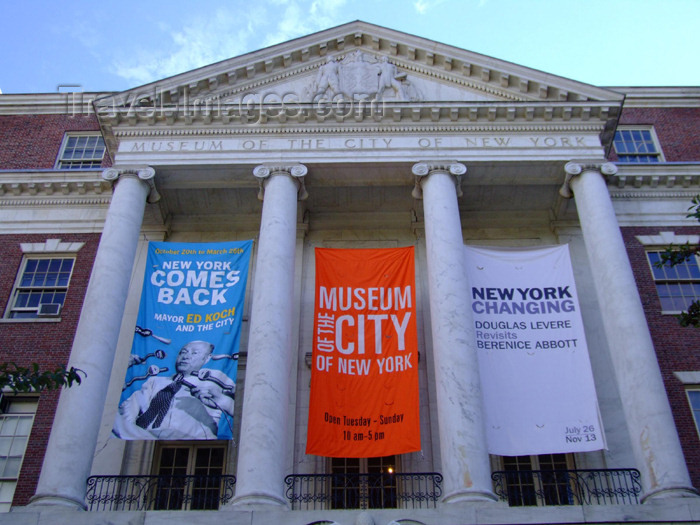 New York City is home to hundreds of museums, some of which are among the most famous in the world. Trying to explore them all can quickly become an overwhelming experience — even for a seasoned traveler. So, how does an art lover tour New York’s impressive cultural scene? Well, If you can’t spend half the year visiting museums all day long, here are seven museums in NYC you just can’t pass on. Located in the Upper West Side of Manhattan (just across from Central Park), AMNH is a New York landmark. More than that, it stands out as one of the most celebrated history museums in the world. This museum houses 45 permanent exhibition halls scattered across 27 connected buildings. Each collection focuses on a specific aspect of evolution, both on Earth and beyond. A stroll through these halls is a humbling walk down history on the quest for your own origins. Not a history buff? No problem. There is something for kids of all ages to enjoy; from the planetarium, to the library, to the Butterfly Conservatory. This enclosed vivarium creates a habitat for hundreds of tropical butterflies to live in. Haven’t you heard of the MET? Then you know just how huge it is in size and scope. In fact, it is among the ten biggest museums in the world, and the most celebrated stop on the 5th Avenue’s Museum Mile. The Metropolitan Museum of Art is an art gallery paired with museum exhibits and antiques. In its almost 150 years of existence, it has gathered more than 3 million art pieces from around the world, ranging from Ancient Egyptian antiques to paintings from European masters. Even if you are not interested in the stereotypical art museum, you will love the visit to the MET — especially its collection of Medieval arms and armors. What started in 1929 with eight prints and a drawing, is now the world’s greatest collection of modern and contemporary art. Yes, MoMA has an extensive exhibition of paintings, drawings, and sculptures. But it also boasts an array of unique architectural, photographic, and design pieces worth seeing. Even MoMA’s building itself is an expression of modern art, imagined by architect Yoshio Taniguchi. Be sure to visit the A. A. Rockefeller Sculpture Garden and the theaters with their film programs. Even if you are not into ‘classic art’, you must admit that modern art has its charms. Whitney Museum is impressive inside and out. The granite building itself is a striking display of architectural beauty. Started in 1931, it now has the most complete exhibition of American Art, with over 12,000 unique pieces. Come discover this impressive overview of works from thousands of American Scene painters. It is an ongoing display of artworks ranging from young unknown artists to the most famous, such as Edward Hopper and Ad Reinhardt. The Guggenheim has a spectacular impact on modern art in all its forms. The building itself is one of Frank Lloyd Wright‘s finest works, and was designed to be a “temple of spirit”. Its famous spiral design is now known all over the world, thanks also to the many famous movie scenes it has played host to. From the start, the former “Museum of Non-Objective Paintings” played a disruptive role on the art scene. Nowadays, it continues to stand out by its splendid collection of impressionist and early modern art. The hidden gem of New York City’s museum scene, this is the place that celebrates the unequaled pop culture icon that is the big Apple. Nowhere else will you find a more comprehensive overview of the city’s social and cultural heritages. This underrated jewel boasts more than a million items, ranging from paintings, to prints, to unique photos. It even has an impressive collection of garment types, depicting the evolution of New Yorkers’ fashion through time. New York City is a dream destination for art lovers, and there are far too many art institutions in town to fit them all in just one blog post. Tell us which museum is your favorite in NYC, and we will feature it in our next post on NYC’s art scene.